Nerve is a stylish, sharp and gripping ride that easily sits as one of the best thrillers of the year. Full of invention and with great central performances from Dave Franco and Emma Roberts, Nerve is a visually-stunning effort from Catfish directors Henry Joost and Ariel Schulman. Having also worked together on Paranormal Activity 3 and 4 (the better sequels in the franchise), Schulman and Joost clearly have a keen eye for delivering memorable cinematic moments. Jeanne Ryan’s novel is adapted to the big screen with suitable verve by Jessica Sharzer, who really has a clear understanding of her audience. She delivers an incisive script that’s well in-tune with the tech-infused lifestyles of a generation constantly looking for new highs. The concept of the film is simple. There’s a secret, dark new game online called Nerve, which asks the simple question – are you a watcher or a player? After paying a sign-up fee, players are given dares to accomplish in order to win money and adoration from watchers. The more watchers that follow you, the bigger the prizes on offer to you – and the riskier the tasks become. Vee (Emma Roberts) is a somewhat shy student who decides to make a drastic life-change after having an argument with her best friend Sydney (Emily Meade), herself a player who is constantly clamouring for more limelight. 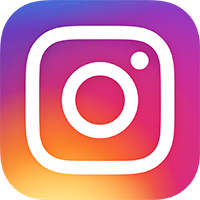 Signing up for Nerve, Vee finds that she is an instant hit with watchers everywhere and is soon paired with another player named Ian (Dave Franco) as their dares get increasingly risky. But when things start to get out of hand, the one rule of Nerve comes into play for Vee and Ian – ‘snitches get stitches’. The central pairing of Franco and Roberts is really exceptional and gives us a great couple to champion. Their chemistry positively sizzles onscreen, with both delivering career-best performances here. Emily Meade is a cheeky firecracker and plays the role of Sydney with suitable aplomb and there’s a nice cameo from Juliette Lewis as Vee’s mother. Colson Baker aka rapper Machine Gun Kelly makes for a good bad guy too. His character Ty clearly has some unresolved issues with Franco’s Ian and their central conflict makes for some great set-pieces. 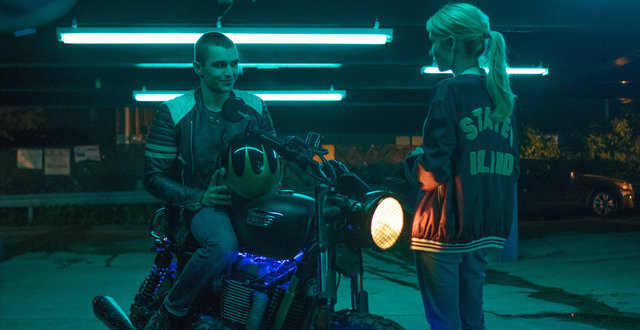 Nerve is all about the dares and there are some truly amazing sequences to be found, be it a blindfolded motorcycle ride through New York, teens hanging from a building high above Manhattan or Vee and Ian having to escape a high-end fashion store almost naked. The pacing of the film really comes into its own here, constantly building upon existing tension to always keep the viewer guessing. The soundtrack is phenomenal too, with Joost and Schulman delivering some visually stunning imagery that perfectly couples up to the music to form some of the most beautiful and striking images you’ll see in cinema all year. Nerve is a must-see movie, with strong performances, an engrossing story that keeps you guessing, a blistering soundtrack, and stunning visuals that leave a real impression. It also has a great eye for inventive, modern storytelling. How it visualises social media and the interactions of watchers and players with their devices is particularly clever. Nerve is gorgeously shot and exhilarating to watch, with new wave thrills that grip you like a vice. A crescendo of tension and thrills makes Nerve a provocative, avant-garde thriller full of invention, and one of the best films of the year.